Professionally selling anything, anytime, anywhere!!! Craig Lytle will give you that respect. bidding at all of our in-house auctions. method of selling and marketing! worry you can still rent from right here! Have extra stuff laying around - make some extra money and consign with us today ! auctioning off in about 4 weeks! Click here for online bidding! 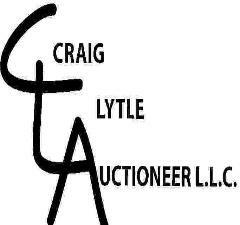 http://craiglytleauctions.hibid. auction coming soon online !